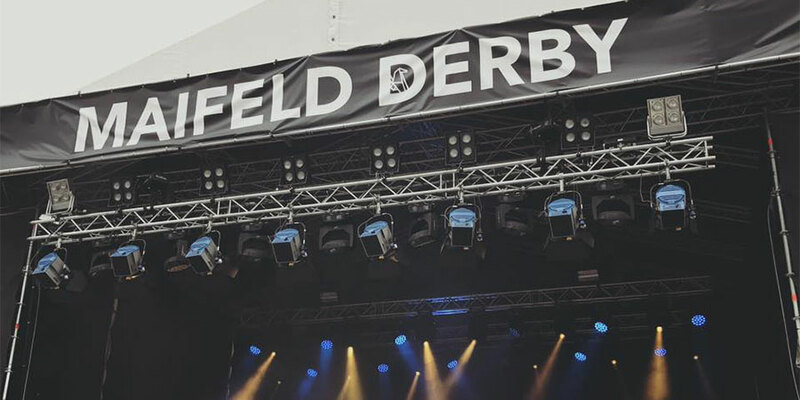 Maifeld Derby is a relaxed and yet cool festival in the West of Germany, right on the Rhine and Neckar rivers, in between the best wine growing areas of Germany. 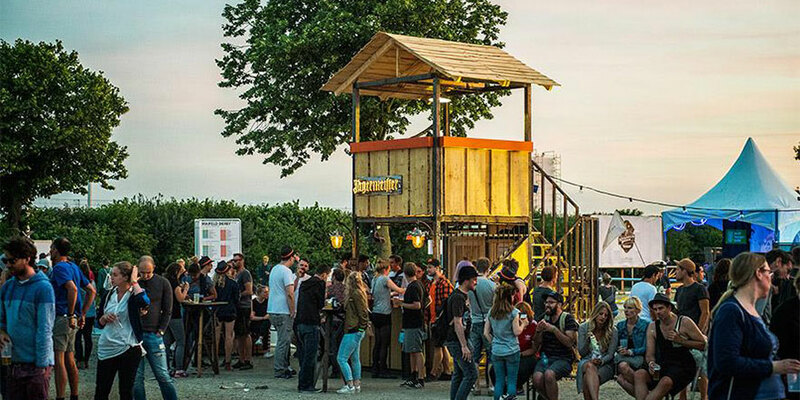 You can really feel that it is super laid back – no-one's pushing around or rushing you – starting at the security and the wristband exchange. My wristband was given to me by a woman with a baby around her back, sleeping and with big headphones. That is normal, as normal as the super friendly security with their sweet and particular dialect. This is a festival that is all about music and the peaceful and yet responsible enjoyment of young people. Fans come here for the music and acts like White Vine and Whitney. 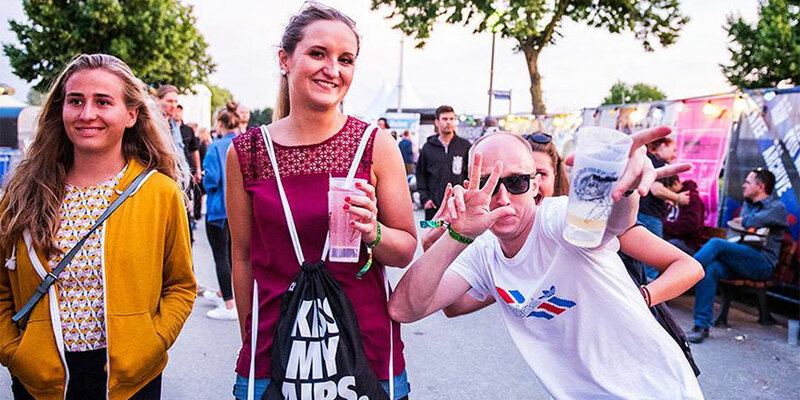 The festival site is not huge, so you can easily walk between stages in just a minute or two. Added to that, the artists are staggered at each stage so you don't get many clashes. 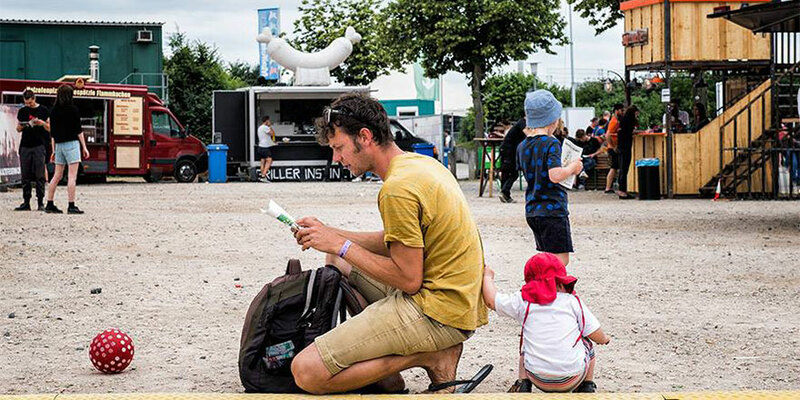 Timo, the festival organiser and Get Well Soon band member, is always on the hunt for new bands that will soon be big – his passion is what he is doing. 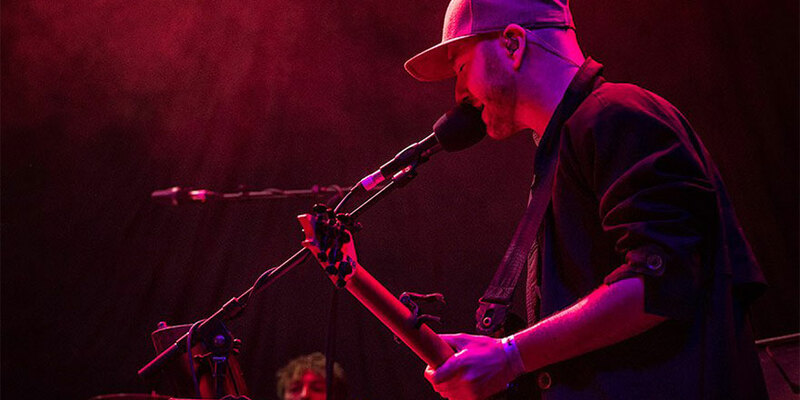 He carefully selects bands to fill the lineup each year, and it's always a treat to discover what he's curated. There's always something very special about a beautiful sunset over a place like this, where people from different backgrounds have come together over shared experience. 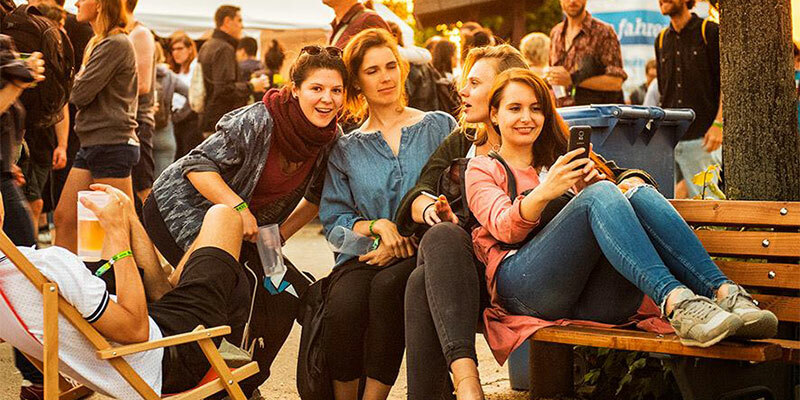 With beer from breweries in the local area, wine from the same region and high-quality food coming from nearby businesses, Maifeld has a really close connection with its local culture. 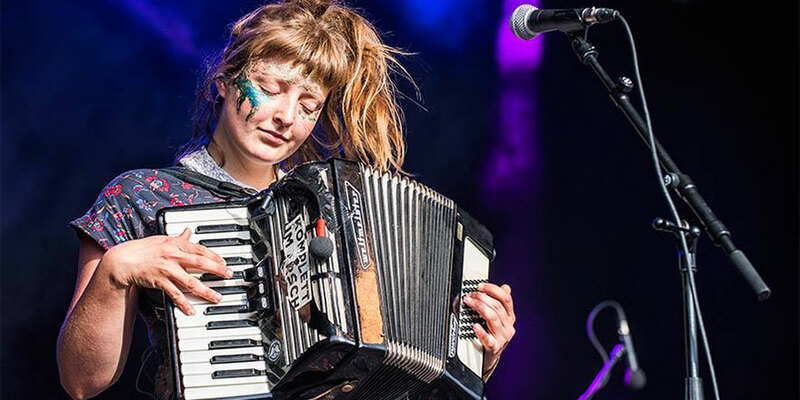 It's a fitting celebration of the great craft and traditions of the region, as well as a perfect introduction for people coming from further afield. Weekend tickets were just 95€ for this year's edition, and on site you can enjoy a good cold Riesling for 3.50€ – that was the first drink I had when I got there. 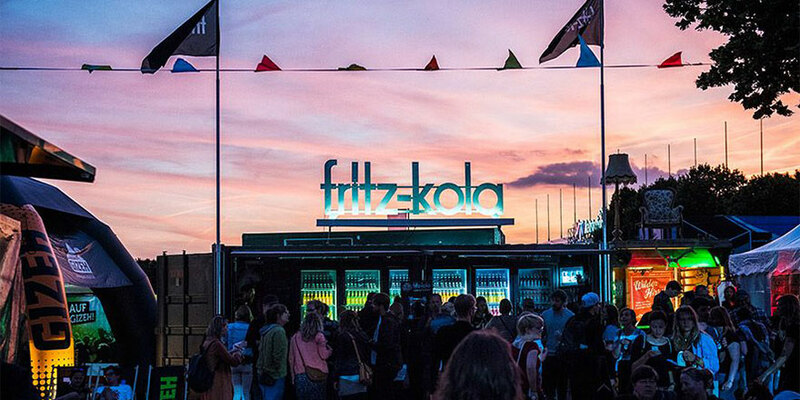 It can be hard to find a great festival where you don't pay everything you have for just one drink, so it's a real highlight to find that you're going to enjoy the weekend without emptying your bank account. There's a tram connection between the festival site and Mannheim city centre, and it's a really great place to visit if you have a spare few hours. 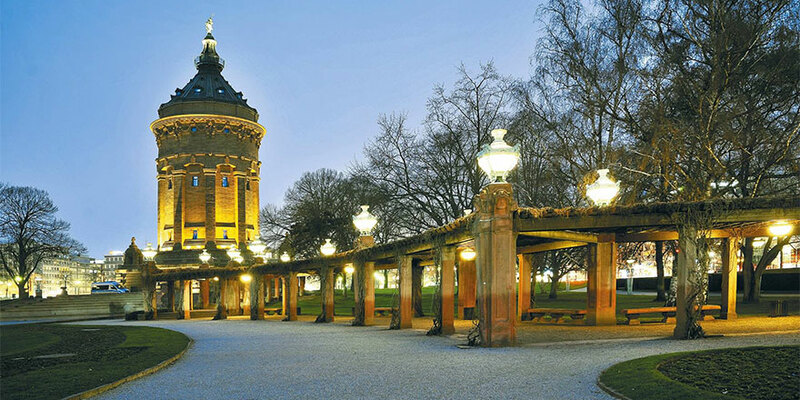 The Wasserturm (water tower) and Mannheim Palace are some of the city's most famous landmarks. 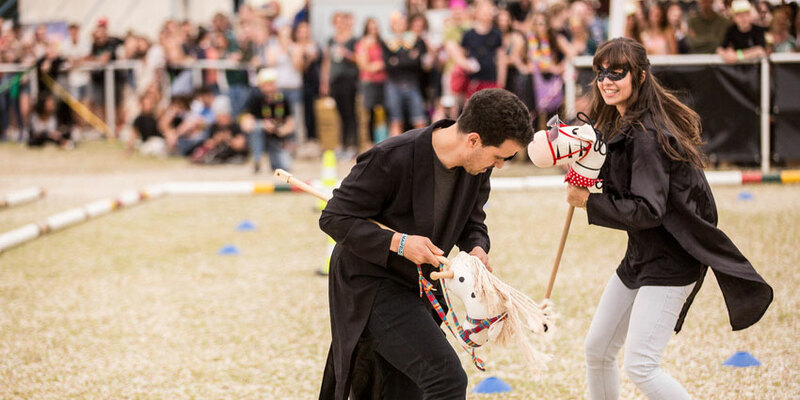 There is a real feeling of fun at the festival, with no better example than the hobby horse competitions (Steckenpferdrennen) that they hold on the race ground areas. Anyone can enter and make people laugh with a fake equestrian show, and that same spirit carries on all over the site. Even for really young kids, it's hard to imagine a better place to bring a family. People party, but they are always respectful and it feels like a real community there, even if it's just for three days. Metronomy Frontman Joe Mount: "I think we'll come back with a really fresh and excitable live show"
Join our Maifeld Derby 2018 waiting list here to be kept up-to-date with all the latest news, and get priority access when tickets and packages go on sale.